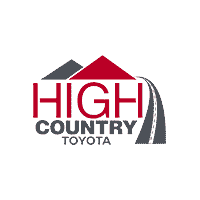 Celebrate years of hard work with a new Toyota, thanks to the college grad program at High Country Toyota in Scottsboro, AL ‐ serving Albertville, Anniston, Fort Payne, Gadsden, Guntersville, and Madison. You can take advantage of an amazing opportunity that sends you home in a new Toyota for less. Recent or upcoming college graduates may be eligible for a $500 college graduate rebate program. Available on all new and untitled Camry (gas or hybrid), Corolla, Corolla iM, Prius Liftback (excludes Prius Prime) Prius c, Prius V, RAV4, Tacoma, Yaris, Yaris iA, Toyota 86, and C-HR models. Graduated from an accredited four-year college or university during the last two years or will graduate from such college/university within the next six months. Proof of college graduate status required. Graduated from an accredited two-year college or registered nursing degree (diploma) program within the last 2 years. Currently enrolled in or have graduated from an accredited graduate degree program during the last two years. Must furnish verifiable proof of present employment or proof of future employment which will begin within 120 days of credit approval, with a salary sufficient to cover ordinary living expenses and vehicle payments. Low or no down payment. Monthly payments may be deferred up to 90 days on a retail installment contract. ToyotaCare – No cost maintenance covers two years or 25,000 miles whichever comes first. To verify eligibility, see customer eligibility guidelines or visit your local Southeast Toyota dealer today. Buyers and lessees must meet program eligibility criteria*. *The $500 College Graduate Rebate must be used as a down payment on a retail installment contract or as a capitalized cost reduction on a lease agreement through Southeast Toyota Finance. Only one College Graduate Rebate per customer. Verifiable proof of recent or upcoming graduation or graduate school enrollment status is required at the time of lease/purchase. Must meet credit approval requirements and have no negative credit history. Must furnish proof of present employment or future employment with a start date within 120 days of credit approval. Not all applicants will qualify. Offer ends on 3/4/19. All other terms and conditions of the College Graduate Rebate Program apply; see dealer for details. The College Graduate Rebate Program may be combined with certain other special offers from Southeast Toyota Finance. This offer is available at any Toyota dealer in AL, FL, GA, NC, and SC. In addition, your dealer can advise you about additional offers for which you may be eligible.